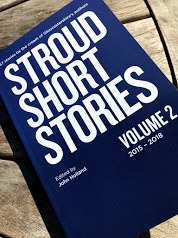 On Friday 28 September from 7pm to 10pm we are launching our brand new Anthology at the Ale House in John Street, Stroud. This is our second anthology and covers the six SSS events from November 2015 to May 2018. It's £10. For all the information about the launch, the new anthology and how to buy a copy click on the tab above or here. Do come along. Everyone is welcome. It's free and unticketed. There will be lots of writers there to meet and chat with. 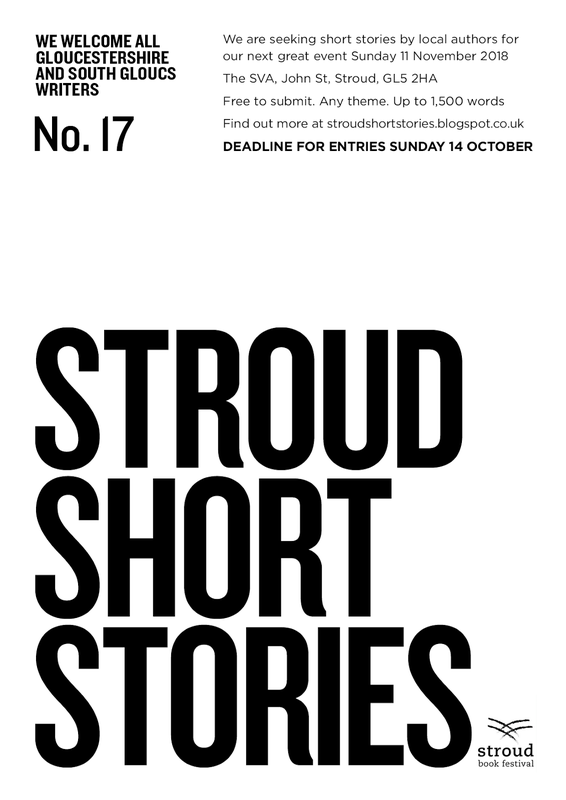 Don't forget that we are open for submissions to our 11 November event. 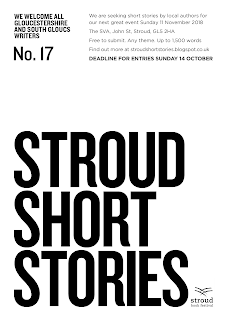 Deadline Sunday 14 October. All the information you need is below - in the following post.